John Moore, Robert Macan, Meredith Foxall. 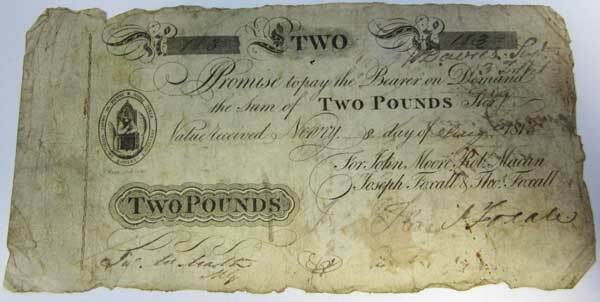 The bank failed in 1816. 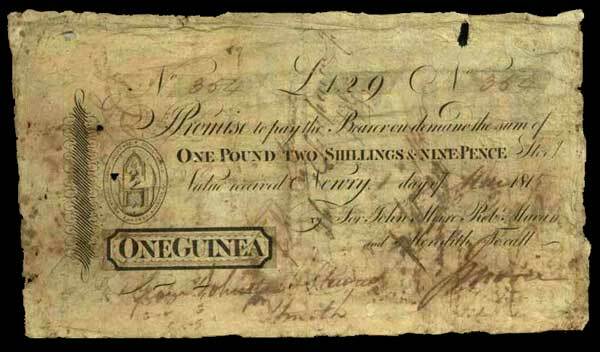 Newry Bank 2 Pound notefrom 1813.